Welcome to Siem Reap TV. We are proud to present our first episode Lilly’s First Flight: A Microlight Adventure. In this episode, we follow host Lilly as she sets out to experience her first time flying in an aircraft. But this isn’t any typical aircraft; she’s joining veteran pilot and longtime Siem Reap resident, Eddie Smith, as he takes her up in his two-seater mircolight plane. 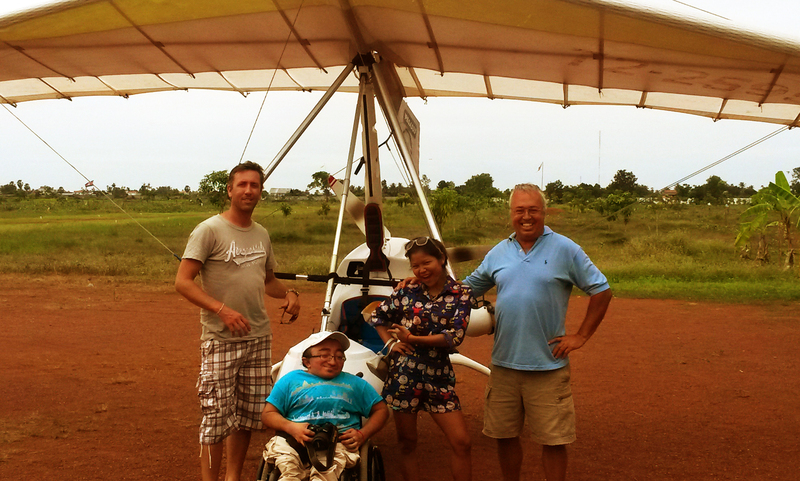 Join us as Lilly and Eddie take to the skies over Siem Reap in this wonderful little aircraft. Locals call Eddie’s plane a flying moto as he flies over remote villages and the Cambodian countryside. See Siem Reap and the surrounding landscape like never before – from above. Lilly’s passion for adventure and excitement make this an enjoyable moment to share with her. Watch as she experiences life for the first time, from the sky. A short 30 second intro video of Siem Reap TV was launched today. Siem Reap TV is being hosted by Lilly Phy and features short 5 minute episodes of fascinating places, interesting stories in and around Siem Reap. Home to an ancient world, it is a city that is full of unique stories. Stay tuned for Siem Reap TV, Coming Soon! Episode #2 – Part 1 of 2 – Snails, Crickets and Snake in Siem Reap!